Sure, Aspen is surrounded by jaw-dropping natural beauty with endless places to hike, bike, climb, ski, and run. But it’s also home to cutting-edge fitness studios and traditional gyms where you can get in shape and ready to tackle every outdoor pursuit under the sun. 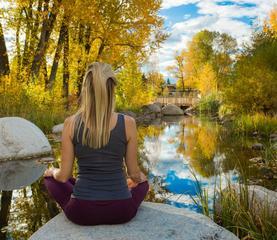 Aspen more than lives up to its official mantra of “mind, body, and spirit,” offering yoga in the studio and on top of Aspen Mountain.